The track system developed for Hornby Gauge O trains experienced further development; evident not only in the improved geometry, but also in the refined detailing and production process. 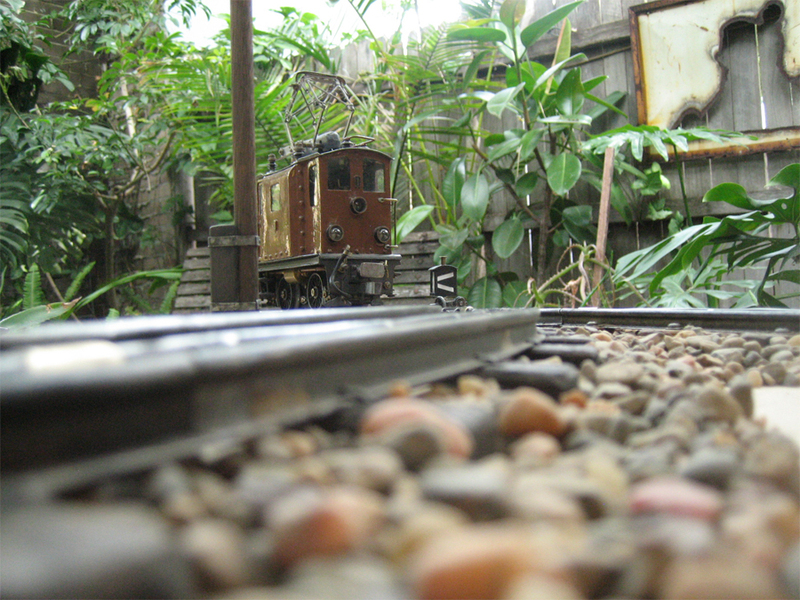 The addition of a third rail lay at the beginning of this almost entirely scratch-built model railway. Its scale has been set to 1:25, making it a narrow gauge railway. It has no prototype, however, it is based on Swiss designs from about the 1930s. All that exists of it to date is one locomotive, a few pieces of track and lots and lots of plans! Each topic has been given its own page. If the title appears in red, then there is more information available by clicking on the link.